← A Must Read by Steve McKown!! Good Discussion!! Good Debate!! An Example of How The Shuffler Used to Be!! 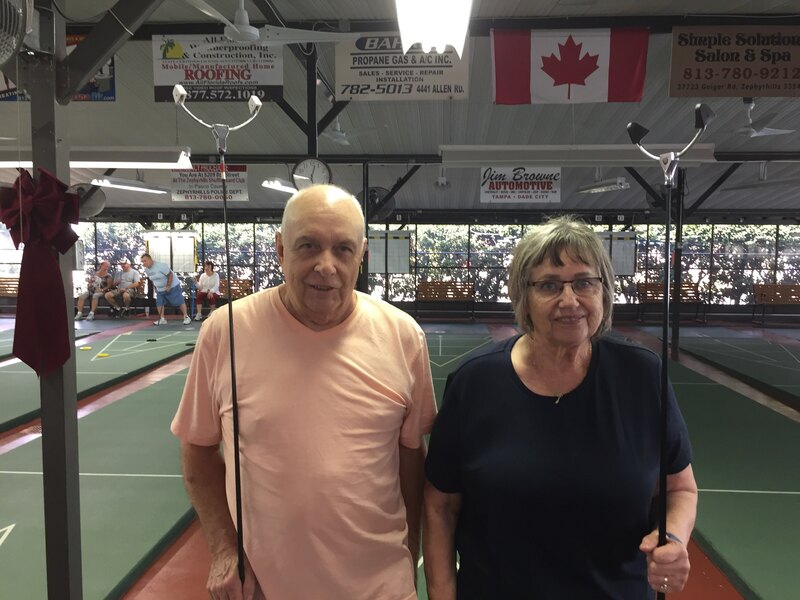 The Zephyrhills Shuffleboard Club hosted a Central District Amateur Draw Doubles Tournament on Friday and Saturday December7th & 8th. The Tournament drew 64 players or 32 teams. Angie Meldrum and Ross LaCombe drew each other and won the Championship against a strong field. The Pro Tournament that started the day before drew 48 players or 24 teams. Comparing the two fields the Amateurs drew 25% more players, which is a good balance that not many areas are so fortunate to have.